Happy 2016! Winter may be the low season on the Camino, but it is peak season for planning, and there is no shortage of activities to get your fix! Below is a selection of Bay Area presentations, hikes, and a potluck (note: NorCal pilgrims rock the potlucks!). Presentations at REI by Nancy Reynolds of The Camino Experience. Registration is required. 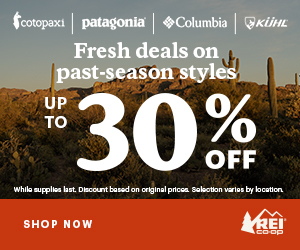 Click on the desired class above to go to the registration page on the REI website. Learn about the Camino Portugués and the Camino Primitivo, two historic routes to Santiago with roots predating those of the ever popular Camino Francés. Come to a lively presentation on walking these ancient routes. These virtual, picture-rich tours will take you through picturesque towns and along roads and bridges built by the Romans and used by pilgrims for hundreds of years. Did you know that this is the second most popular route for pilgrims walking to Santiago de Compostela? This Way of Saint James is believed to have been followed by the saint himself, both in life (when he set about preaching to the pagans) and in death (when the stone boat carrying his martyred remains landed at Padrón). The presentation on the Portuguese Caminho will begin in Porto and take you through Valença, Tui (on the Spanish border), and then on through Padrón to Santiago. Included will be a number of rewarding side trips to Braga, Lisboa and Fatima (the pilgrimage spot synonymous with Portugal since the early 20th century). The Camino Primitivo is called “primitive” or “original” because it marks the route taken by the very first pilgrim to travel to worship at the tomb of Saint James. In the 9th century, this pilgrim, King Alphonse II (the Chaste), traveled from Oviedo, the capital of the kingdom of Asturias, to the tomb of the saint and later founded in Compostela the first basilica in honor of Saint James. The Camino Primitivo is one of the most beautiful, somewhat challenging and thoroughly rewarding sections of the entire Camino de Santiago. This mountainous and less-traveled route is dotted with small friendly towns and offers spectacular sights to pilgrims looking for an alternative to the busy Camino Francés. Poles help walkers & hikers improve endurance, posture, balance, confidence, and strength. All experience levels learn anatomically optimal techniques to achieve greater skill to avoid joint stress or strain. A variety of top quality poles are provided at all seminars. BLACK DIAMOND – Morning session helps hikers learn poles, trail and body skills. Beginner to experienced hikers will learn techniques without the additional time or challenge of a practice hike. Uphill: Improve power, endurance, spine function. Downhill: Learn techniques for feeling safer and preserving joints – Save your knees! Enjoy this jewel park in its cool season. Registration required. BLACK DIAMOND – Optional continuation of morning session or as a standalone class. Practice and enhance poles skills on trails with stunning views. Improve your performance and learn additional techniques for navigating trickier and varied terrain. “Test drive” different pole models to learn which fit best or bring your own (4 mile hike). Open to all prior pole hiking participants. Enjoy this jewel park in its cool season. KENNEDY GROVE – Easy-to-learn pole techniques and gentle exercises empower people with mobility challenges to maintain walking form, navigate everyday obstacles, reduce risk of falling, restore spine function, improve stamina and strengthen muscles that support weight bearing joints. Optional lovely practice pole walk (1/3 mile). Special equipment provided. Registration required. Wilder Ranch State Park is North of Santa Cruz. One mile past the Western Drive stoplight to the Left. The last stoplight going out of Santa Cruz towards Davenport on Highway 1. 8-10 miles flat dirt along the Pacific Ocean. 10am meeting point: Drive in and go past the pay Kiosk and park near the bathrooms. Cathy Seitchik Diaz and I planned this hike while we were on the Walk in the Redwoods last month, so please join us and invite any central California pilgrims via the Facebook event. If you know of any Camino related events for the SF Bay Area that should be included in the monthly roundup, please use the comment form below, or email me. 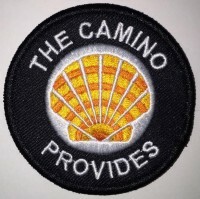 For those that live elsewhere, there are Camino hotspots nationwide and the American Pilgrims on the Camino (APOC) website has a listing of local chapters where you can find pilgrim events. There are also many active Facebook groups to learn about events in your region. I wish you all the best in 2016, and many buen Caminos! PS – I’ll be leading occasional walks in the Berkeley hills on the 3rd Sunday of the month. Sign up for the Berkeley Hills walk on February 21, 2016.